Kramer has established the industry standard for the "shred" guitar for nearly 30 years, and the SC 211 Floyd Rose will carry the flag for the next generation to come. 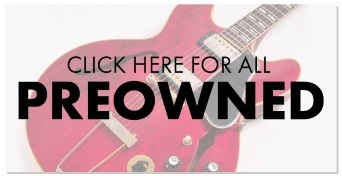 In the shred boom of the mid-1980s, Kramer was the number 1 selling electric guitar brand in the world, and its fast, powerful designs set the pace for countless other makers to follow. Big name endorsements from no less than Vivian Campbell, Edward Van Halen, Jeff Golub, Brad Gillis, Neil Schon and Richie Sambora showed that Kramer was leader of the pack for players who were serious about tone and speed. The Striker 211 Custom features a solid Mahogany body with beautiful flame maple top. Topping off the neck is the classic Kramer pointy headstock with die cast tuners and locking nut in a black nickel finish, with the 2010 logo to boot. Kramer's new Thorn inlays top off the Rosewood board on the Maple, super smooth, slim neck.Great versatility from the 'HSS' humbucker-single-single pickup combination. The volume control also features the ôtreble bleedö mod, which lets you keep your tone bright when backing down the volume control. 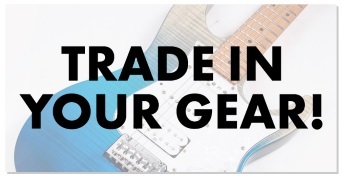 A recessed Floyd Rose trem system keeps everything in tune- all at an unbelievable price! Like so many great Kramers before them, the SC 211 Floyd Rose embody all the elements that this fast, furious breed of guitar playing demands, and round them up in one superbly smooth and playable instrument that lets you slam the accelerator with confidence. The popular H/S/S pickup format gives you a versatile range of voices, from scream to sultry, while a wide, slim neck allows maximum speed, and the full scale length provides optimum resonance, clarity and punch. On the SC 211 a licensed Floyd Rose vibrato tailpiece succumbs to your every wobble, whammy and dive, while a through-body, hardtail bridge with fully adjustable saddles gives the SC 211 Floyd Rose superb sustain.